The Roto Hockey Show, part of the ITL Fantasy Podcast Network, is hosted by Tony Healey and Brian Matthews. Tony and Brian bring the same flare, knowledge and fun to hockey that are a trademark of all the ITL podcasts. 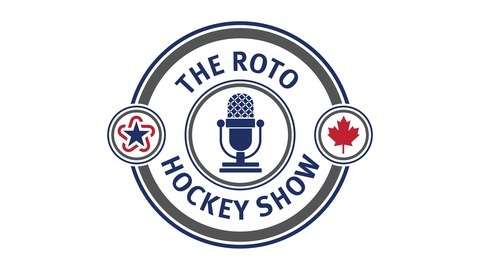 Tune into the Roto Hockey Show each week for the best fantasy hockey analysis in the business as well as hear from premiere guests from around the hockey industry. Find the show on Twitter at @RotoHockeyShow You can listen on iTunes, Stitcher and Soundcloud. You can support the show at: www.patreon.com/RotoHockeyShow. The Stanley Cup Final is set, but the Roto Hockey Show is taking a quick look ahead to next season. Hosts Tony Healey and Brian Matthews are joined by Steve Laidlaw of Dobber Hockey and some die-hard listeners for the first fantasy hockey mock draft for the 2018-19 season. Tune in to hear who jumps into the first round, what big names fell down the draft board and where this season's breakout stars end up. 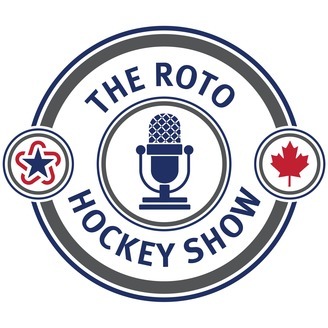 Follow the show on Twitter @RotoHockeyShow and the guys at @NHLRoto (Brian) and @T_Loc11 (Tony) - they'll be handing out advice over the summer on the fantasy impact of the 2019 NHL Draft, discussing updated positional rankings, as well as analysis for keeper- and dynasty-leagues. Support the podcast on our Patreon page. Our patrons receive special access to exclusive content, bonus podcasts, personalized fantasy hockey analysis, Roto Hockey Show gear and more.